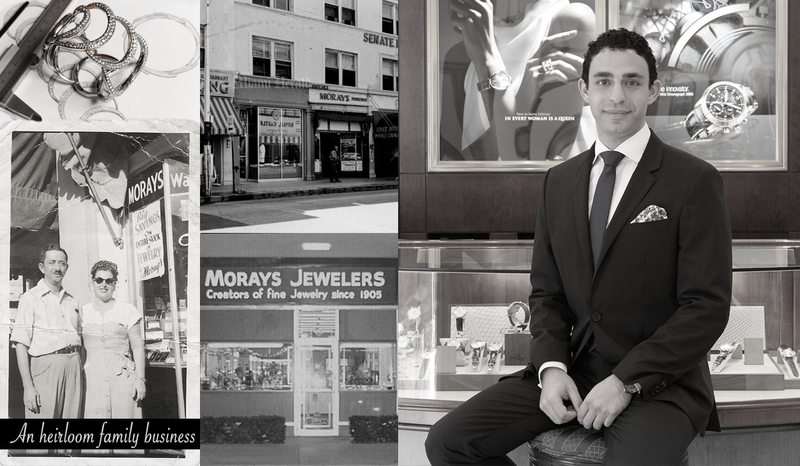 Morays Jewelers have long been a fixture in downtown Miami, but our roots stretch even further back to Austria, where the great-grandfather of the shop’s current owner, Sandy Hequin, was born. In the early 1900s, he emigrated to New York City and made a life for himself and his family by selling pocket watches from a pushcart along the legendary Orchard Street. Determined to pass his success on to his children, he gave each of his two sons $10,000 so they could open their own businesses. One of those sons, Hequin’s grandfather, took his small fortune and moved to Florida, and the rest is Miami history. 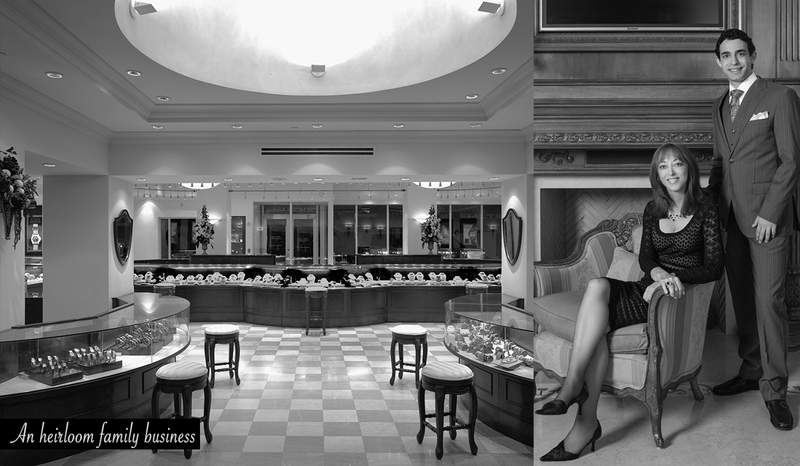 Hequin’s grandfather opened Morays Jewelers in 1944; his son, Hequin’s father, took over in 1958. Now, Mrs. Hequin, the great-granddaughter of the original owner, is passing it on to her son, Beau, who will be generation number seven. For six generations, Morays Jewelers of downtown Miami has been South Florida’s preferred fine jeweler and purveyor of collection-worthy timepieces. Today, with the ascendance of Beau Hequin as Morays’ new owner and President, the seventh generation of Hequin’s family is bringing a new chapter to one of Miami’s most successful luxury product and service establishments. For seven generations, Morays has been the preferred fine jeweler and purveyor of collection-worthy timepieces for the refined Miami gentleman and lady. From nineteenth-century Austria to modern Miami, Max Schechter’s descendants and their family of long-serving employees offer all the services today’s customer requires of their trusted jeweler. From gemstone choices to custom design, sizing, and cleaning, we educate our patrons about the finer points of jewelry. We’re proud to say many of the customers we help today are descendants of those who first came to Morays years ago. It was with deep thought that Sandy Hequin passed the reins to Beau Hequin. For decades, since Beau was 12 years old, he’s been learning the skills, history and most importantly, the relationships that are crucial to the business of a fine jeweler. Years behind the counter, loupe in hand, Beau has assessed thousands of diamonds, sapphires, and other precious gems. In a business where millimeters mean thousands of dollars, Beau learned the value of precision, patience, and trust in your colleagues. Personally meeting dozens of watch brand managers, visiting European factories to learn what really makes the difference between just a great watch and a true heirloom timepiece, Beau and his team bring unmatched acumen, style, and intuition to the business of selling timepieces. Beau is the embodiment of heritage, personal experience and passion for luxury, all coming together in the right person to bring Morays customers the absolute best experience for all of their premium jewelry and timepiece needs. The chapter begins with you, the customer. For sevengenerations, Morays has been the preferred fine jeweler and purveyor of collection-worthy timepieces for the refined Miami gentleman and lady. From Austria at the turn of the nineteenth century to modern Miami, Max Schechter’s descendants and their family of long-serving employees offer all the services today’s customer requires of their trusted jeweler. From gemstone choices and custom design, to sizing, and cleaning all the while educating our patrons about the finer points of jewelry. We’re proud to say, many of the customers we help today are descendants of those who first came to Morays years ago. It was not without deep thought that Sandy Hequin passed the reins to Beau Hequin. For decades, since Beau was 12 years old, he’s been learning the skills, history and most importantly, the relationships that are crucial to the business of a fine jeweler. Years behind the counter, loupe in hand, Beau has assessed thousands of diamonds, sapphires and other precious gems. In a business where millimeters mean thousands of dollars, Beau learned the value of precision, patience, and trust in your colleagues. Personally meeting dozens of watch brand managers, visiting European factories to learn what really makes the difference between just a great watch and a true heirloom timepiece, Beau and his team bring unmatched acumen, style and intuition to the business of selling timepieces.